There’s alot of violence going around in college football recently. Well, more violence than usual. Yes, there’s the pads a poppin’ but more and more we see fisticuffs break out. Whether it’s on the field or off, there’s been some smacking and smack talking cropping up all over. So pay attention to this week’s Crib Sheet. We have some lessons to teach. 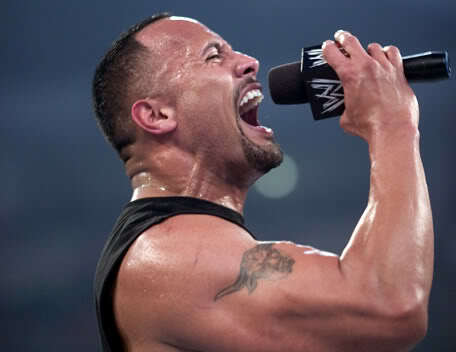 If you smellllllll, what the Crib Sheet, is cookin’! Collins Okafor is the second running back to leave the Nebraska Cornhusker squad. I guess Bo Pelini had confidence in the other two guys up for the position. Let’s hope none of those two get injured. But wait! He’s Back! Texas A&M’s Uzoma Nwachukwu is loving life as the big man (and frosh) on campus this week. Nwachukwu scored a touchdown on each of his four touches last weekend against Utah State. I’m not sure what’s more surprising, the fact that the Aggies are undefeated and 2nd in the Big 12 South standings or the pronunciation of his name. Fans who were kicked out of Minnesota’s home games for drunkenness will have to take a breathalyzer test the next time they try to attend a game. That makes alot of sense since it’s for the student section only and protects the fans from the wild tailgating that students put on before the game. I should know. I’ve been part of many of those. In this week’s lesson on smack talking, Tennessee’s Lane Kiffin fires back accordingly when Urban Meyer made up excuses about how close the Florida and Tennessee game was last week. That’s good stuff. Remember never to back down if someone returns the shot you fired first. Kansas football players and basketball players can’t get along. Point guard Tyshawn Taylor ended up with a dislocated thumb after a frucus broke out in front the university’s student union. Here’s a tip, the only other type of athletes that can mess with football players are wrestlers. Anybody else, prepare to get injured.